If there was still any question that we're in the middle of an entertainment revolution, a new report from the movie industry should silence all doubters. According to an annual study compiled by the Motion Picture Association of America, people around the globe spent far more money last year ($55.7 billion) on home entertainment than on movie tickets ($41 billion). And for the first time, subscriptions to streaming video services such as Netflix surpassed cable TV subscriptions. The news, released Thursday morning, wasn't all bad for movie theater owners. Thanks to blockbusters like Black Panther and the latest sequels in the Avengers, Incredibles, Deadpool and Jurassic World franchises, 2018's domestic box office grosses increased 7 percent to $11.9 billion, an all-time record. But those grosses were propped up by higher ticket prices — ticket sales are actually down nearly 10 percent from a decade ago. And when you look at movie admissions over a longer period of time, people simply aren't going to theaters as much as they used to. International theatrical receipts, which have recently been driving Hollywood's profits, actually declined as well. So where are people going to get their movie kicks? The MPAA report is unequivocal—they're watching streaming sites. "Americans now spend 52% of their media time on a digital platform," the study says. Digital entertainment spending in the United States surged 24% last year to $17.5 billion; four years ago, Americans coughed up less than half that, $7.6 billion. Meanwhile, overseas digital spending grew even faster from 2017 to 2018, at 34 percent, to $25.1 billion. By adding physical entertainment—yes, a lot of people still buy DVDs at Target or rent them at Ralph's—you reach the total of $55.7 billion on home entertainment spending last year. It's not just the multiplex that is losing traffic. Consumers are cutting the cords on their cable TV packages and adding streaming subscriptions instead. 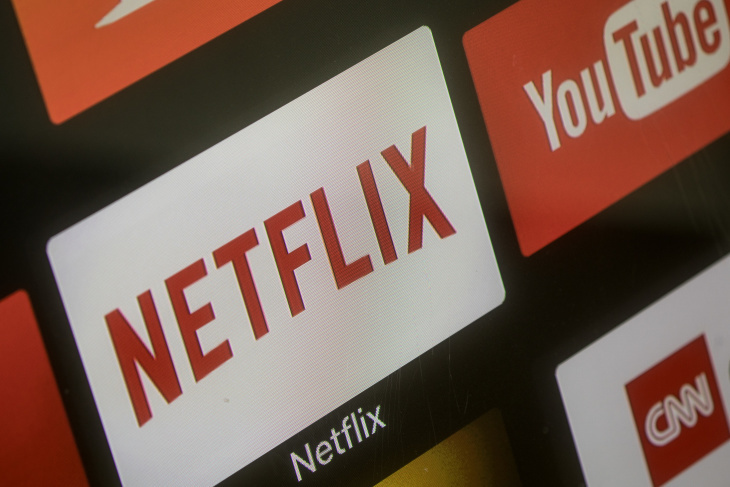 The MPAA found that subscriptions to streaming sites like Netflix, Hulu and Amazon Prime increased 27 percent globally, to 613 million accounts. Cable subscriptions, on the other hand, actually fell 1 percent to 556 million around the globe. A note about methodology: when the MPAA tallied those numbers, households with more than one type of streaming service account were counted in each of the categories to which they subscribed. Clearly, Americans have a lot of free time on their hands: the average person watches 3 hours and 45 minutes of regular, non-digital TV every day. At least they're still listening to a little radio now and then—nearly four times the time they're spending reading something in print. Theater owners have often been slow to adapt. They dragged their feet converting to digital projectors and 3-D screens, they were slow to embrace stadium seating, and they've resisted implementing lower prices for bad movies: Why should a ticket to something like John Travolta's flop "Gotti" cost as much as "Black Panther" or "A Star is Born?" Right now, exhibitors are locked in a battle with Netflix, convinced the streaming site is killing the movie business (director Steven Spielberg is among Netflix's critics). Because Netflix wants its movies to debut on the service close to —if not on the same date as—their theatrical debuts, theater chains wouldn't play the Oscar-winning "Roma." But as the MPAA study shows, if theater owners don't embrace change, we're likely to see the same flatlining numbers at the multiplex, while digital platforms laugh all the way to the bank. 8:25 a.m.: This article was updated to include MPAA methodology for counting households with multiple streaming services, and a link to the study.